Medford/Somerville, MA—The Honorable Mikheil Saakashvili, former president of the Republic of Georgia (2004 – 2013) and founder of Georgia’s United National Movement Party, will join The Fletcher School of Law and Diplomacy at Tufts University as Senior Statesman beginning in January for the Spring 2014 academic term. In this role, President Saakashvili will conduct major addresses and lectures on European governance and other contemporary international and regional issues. At age 37, Saakashvili became the youngest national president elected in Europe following a bloodless revolution that ousted his predecessor, President Eduard Shevardnadze. Saakashvili served two terms—the maximum allowable—before stepping down in November 2013. Saakashvili began his career in Georgian politics in 1995 as an elected member of Parliament. In 2000, he was appointed Minister of Justice of Georgia, where he focused on investigating and exposing government corruption and instituting judicial reforms. 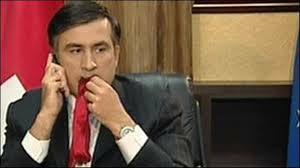 A lawyer by training, Saakashvili graduated with honors from the prestigious Kiev University Institute of International Relations and received his master of laws from Columbia University. He studied law at the doctoral level at the George Washington University National Center of Law in Washington, D.C. In 1995, he became the first former Soviet citizen to obtain a diploma in Comparative Law of Human Rights from The International Institute of Human Rights in Strasbourg, France. The Fletcher School of Law and Diplomacy at Tufts University (The Fletcher School)—now celebrating its 80th year—is the first exclusively graduate school of international affairs in the United States. Since 1933, the School has prepared the world’s leaders to tackle complex global challenges through a collaborative, flexible and interdisciplinary approach to the study of international affairs. Its alumni represent the highest levels of leadership in the world, including hundreds of sitting ambassadors; respected voices from distinguished media outlets; heads of global non-profit organizations; leaders of international peacekeeping and security initiatives; and executive leadership of some of the world’s largest for-profit companies. The Fletcher School awards professional degrees, including a two-year Master of Arts in Law and Diplomacy (MALD); a one-year Master of Arts for mid-career professionals; a one-year, mid-career combined Internet-mediated/residential Global Master of Arts (GMAP); a Ph.D. program; a Master of International Business (MIB); and a Master of Laws in International Law (LL.M. ), as well as joint degrees and certificate programs. For more information, please visit The Fletcher School website at: fletcher.tufts.edu. Blessed are those mold-able minds as they are given information to assimilate by one of the most screwed up persons (Sassy) on the planet earth. It makes me all warm and fuzzy inside knowing that out future generations of leaders will be helped to oblivion by non other than: Mikheil Saakashvili the ex-pathetic president of the Americanism of Georgia, Georgia as country not state! Oh My!